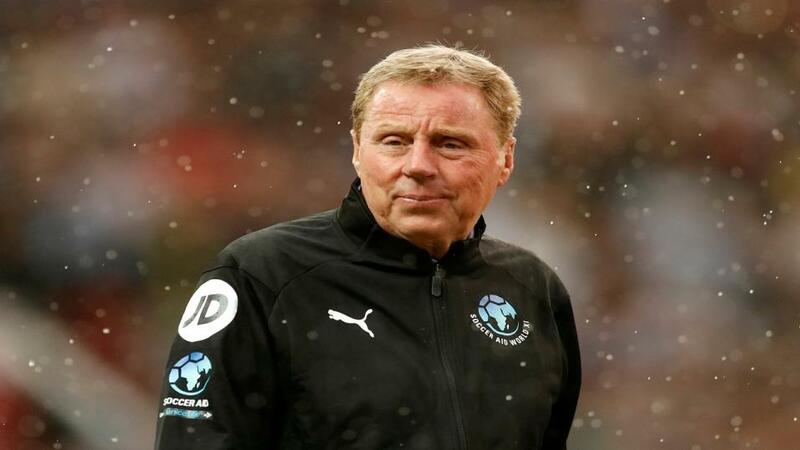 I'm A Celeb Betting - Can Harry Redknapp become King of the Jungle? Harry Redknapp - he can't cook, can't Bushtucker Trial - what can he do? "Redknapp is no George Clooney. Aged 71, he's unlikely to take on the more robust Bushtucker Trials and he's admitted that his wife does all of the housework so he may not be particularly useful in camp. He is going to have to glisten personality-wise." Let's be honest, I'm a Celeb is everyone's guilty pleasure (ed: speak for yourself James). Even if we only watch it because "the other half always has the bloomin' thing on". Yes, we believe you! With the nation glued to ITV when the 18th series starts at 9pm Sunday, will we see Harry Redknapp promoted to King of the Jungle status after enduring creepy crawlies, rice and beans and Bushtucker Trials? Or will the former football manager, whose numerous former clubs include West Ham, Southampton and Spurs, be relegated early to the nearby luxury of The Palazzo Versace hotel? I know which I'd prefer. Whoever wins I cannot wait. It's the only time of year when a football match on ITV gets in the way of my viewing pleasure. I'm A Celeb is a popularity contest. On the basis that some of this year's contestants are not known by all of the show's voters, if you took a poll right now, well-known Redknapp would probably fare quite well. But as the days of bathing in the creek and cleaning out the dunnie take their toll on our celebs, the unknowns become household names and true characters begin to show. It is only worth going into the jungle as a universally popular celeb if you have the personality to follow it through. Often those that do well in the jungle are the unknowns or the initially despised. If the bar begins low you're popularity can only go one way. If you have the image of a charismatic saint then woe betide you if you really are a boring sinner. Talking of low bars, to write this betting preview I descend to my most shallow. Let's face it, high-brow and prolific MENSA scores cut little mustard with the voting masses. Redknapp is no George Clooney. Aged 71, he's unlikely to take on the more robust Bushtucker Trials and he's admitted that his wife does all of the housework so he may not be particularly useful in camp. He is going to have to glisten personality-wise. "There's nothing tougher than being a manager of a football team when things aren't going well," he told reporters. I can think of quite a few hardships i'd prefer less to be frank, and many salaries are lower, but Harry's point that he is confident he can cope. That resilience will be tested to the limit. It really isn't a holiday camp in there. Most of us would fancy a pint or a round of golf with Redknapp. If his cheeky chappie demeanour slips however, he could be in big bother. Most football managers are used to getting their own way. It's also worth remembering that, while most of you reading this are well aware of who Harry Redknapp is, there are millions of voters, who are statistically more likely to be female, who won't have a scoobie, or will just think he's that football bloke. Vicky Pattinson (2015), Scarlett Moffatt (2016) and Georgia Toffolo (2017), were all aged in their 20s and straight from reality TV when they won. Each time they beat off the challenge of a young(ish) man, George Shelley, Joel Dommett and Jamie Lomas, into second place. The men dominated the early series, but women have now triumphed in seven of the 17 years, and in five of the last eight. It's a trend you can't ignore. The price of EVS for a female winner this year is crazily attractive against 8/11 for a male. We don't have a reality TV star in 2018, unless added later (and it's always worth remembering other contestants can still enter the jungle), but, in terms of 20 to 30-year-old females, we have Sair Khan, who plays Alya Nazir on Coronation Street and Emily Atack, a comedy actor best known for The Inbetweeners. Being in Coronation Street ensures recognition for Khan. Atack sews up the votes of young males who like Channel Four comedies. They will both be seeing the waterfall area as a chance to wow. Will be public go for older women? I mean no offence with that sub-heading to Fleur East, an X Factor runner-up, who is in her early thirties. Rita Simons, best known for playing Roxy Mitchell in EastEnders, is 41. I'm sure both are nice people, but I can't see a winner in either. Anne Hegerty, the imposing 'The Governess' from ITV's The Chase, is the senior female member of this years camp, aged 60. Carol Thatcher, the winner in 2005, is the only female over 30 to attract the public's vote. It is going to be interesting to see how Hegerty gets on. She has the image of a stern headmistress. If there is more to her than that she could go a long way and at [11.0] is a shot in the dark, with chances. Which of the men could buck the trend? Other than Redknapp, Malique Thompson-Dwyer, a Hollyoaks actor, is young and could have appeal. James McVey, guitarist and singer for a band called The Vamps, will have a following and could make the final too. I have never met any friend of mine that likes TV presenter Nick Knowles, but there must be someone out there. I cannot see him winning it. And last but not least, actor and entertainer John Barrowman is the male to watch. His personality is quite jovial and smiley, which can take you a long way in the jungle. He has a long way to fall however if he's not as amiable as his image suggests. Which Celebrity will get the most bushtucker tasks? The Sportsbook traders at Betfair have Anne Hegerty favourite in this special market at evens and they are wrong. You know she'll be exempt from almost everything on medical grounds. When it comes to the one thing she can do, she'll chew up and spit out the eating challenge like she does contestant on The Chase. Harry Redknapp is second fav at 4/1 and doesn't appeal for precisely the same reasons. The winner of this market is the person that people don't initially warm to, or the person who shows weakness in an early challenge. I have a feeling John Barrowman could be a squeeler and there his price of 40/1 is beautiful. Others that appeal - Fleur East 10/1 and Rita Simons 12/1. What does Twitter tell us? A good guide of a celebrities mass appeal is their current Twitter following. James McVey heads this list with 1.77m followers and leads by some margin from next-placed John Barrowman, who has 486K followrs. In order from thereon we have Rita Simons (381K), Fleur East (237K), Harry Redknapp (218K), Nick Knowles (117K), Emily Atack (111K), Anne Hegarty (54.8K), Sair Khan (48.1K) and finally Malique Thompson-Dwyer (12.2K). But this is only a bit of a guide of where they rank now in terms of the public's affections. Millions of people watch I'm A Celeb and large new audiences can be seduced by those entertaining enough to bring smiles to the nation. My main stake is with Emily Atack this year, at a decent [8.0] on the Exchange, as she most closely fits the profile of the last three winners. The favourite is John Barrowman at [4.8] and he could well land, but there are so many hurdles to jump the short price does not appeal. James McVery is also interesting at [6.4] and I'd be very surprised if he didn't make the final three. The outsider in the field worth noting is Malique Thompson-Dwyer at [16.0]. Young lads from the soaps have done well in the past and he should be fit enough to win a few Bushtucker Trials and guarantee himself air-time. I'm A Celebrity Betting: Lady C leaves, Hadley next up for exit?